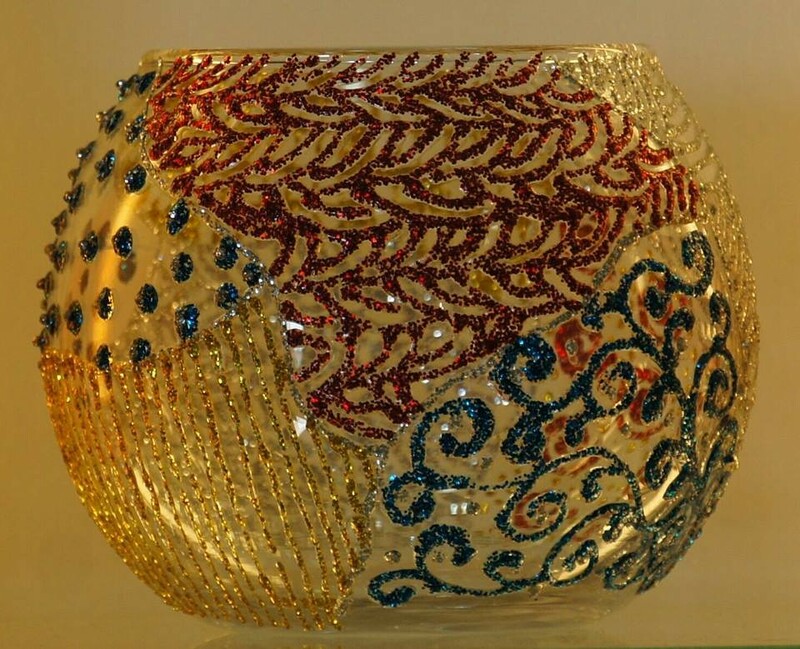 Features:Tangle Design Multi Glitter Candle Holder Size:Height-3",Diameter-2" Shape:Round Shape Material:Glass Artform:Glass Art Use:Home Decoration Function: home / bar/ Dinner/ wedding / party decor etc Description:Traditional artisans have made this exquisite Glass Art Candle Holder over a period of 10 days. With glass being used to make these pieces ever since the art form came into existence, they occupy a special place in the Indian art scene. Artisans have made this Candle Holder multicoloured in a stylish contemporary fashion - just right to play with lights in your home decor.